Are you ready to hunt down the next secret stash? 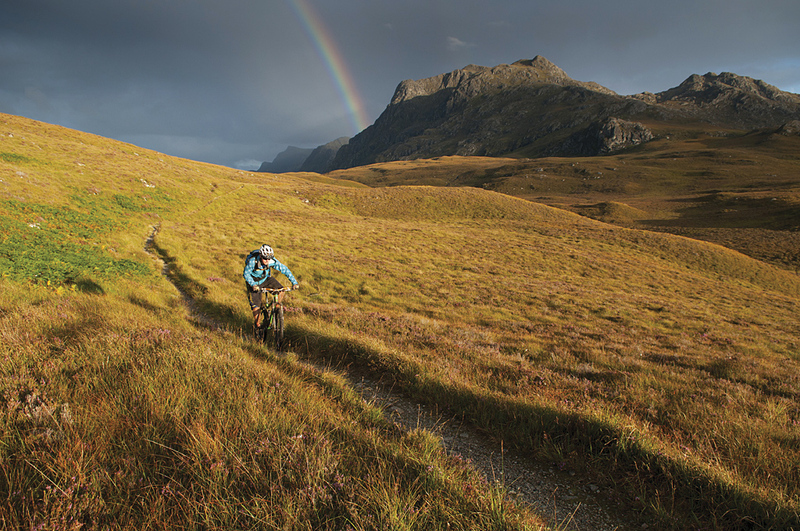 For the Killer Loop in our November issue we tackled a Scottish coast to coast. Find the loot, contact us with the code word and you could be well on the way to winning a holiday and a bike, courtesy of Saddle Skedadle and Cannondale. 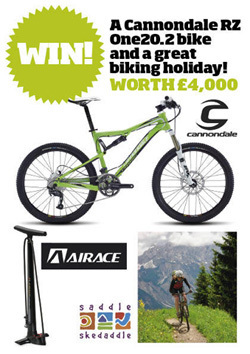 Win a Cannondale RZ One20.2 and a great riding holiday worth £4,000! Look at everything you could win! Here’s the deal. Each month, for our mapped UK riding feature, we’ll leave out a water bottle or something similar with a codeword hidden inside. You’ll have to dig around a bit to find it, but to give you a chance we’ll release its location with the OS map coordinates the second Saturday after the mag hits the shelves — check www.mbr.co.uk and follow us on Twitter@mbrmagazine for details. The rider who finds the bottle and emails us the codeword wins an Blackburn Air Tower track pump and gets entered into a final challenge at the end of the year to win a Cannondale RZ One20.2 and a fantastic riding holiday with Saddle Skedaddle. The boring bit: standard IPC Media terms and conditions apply. Please note: The prizes are as stated, are not transferable to another individual and no cash or other alternatives will be offered. IPC Media’s decision is final. Only one prize bottle per entrant; so no serial killers this time!